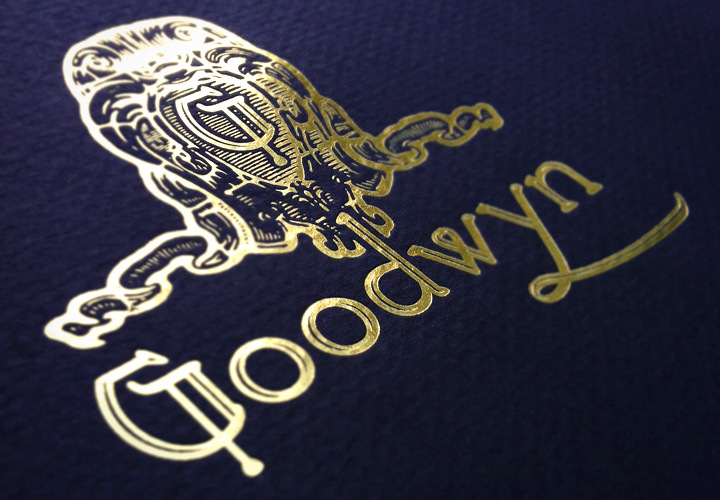 Originally a bank, the Goodwyn building is now home to luxury condominiums in downtown Memphis, Tennessee. 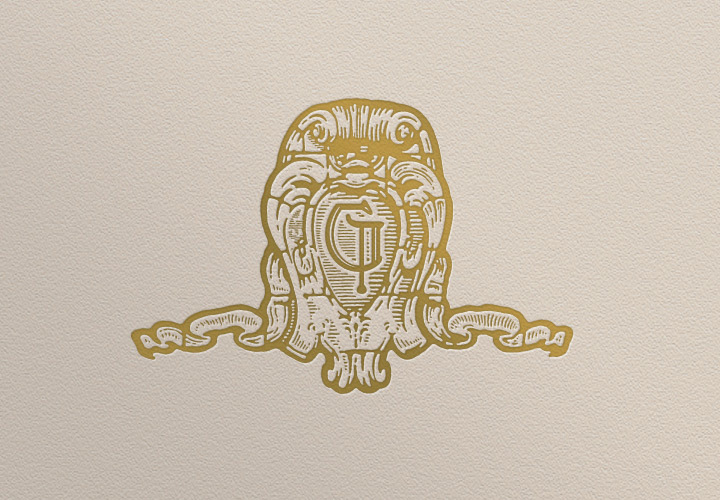 We felt a building like this needed a crest of equal opulence. 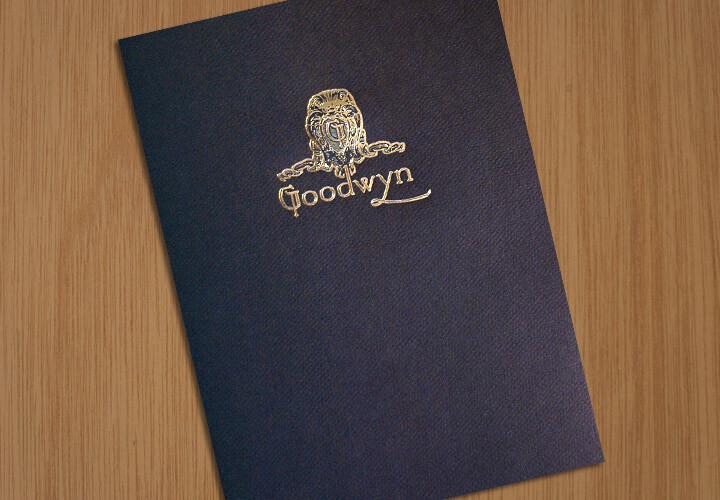 The Goodwyn residential crest, seen here on a pocket folder, is based on the sculptured swag on the top of the building. 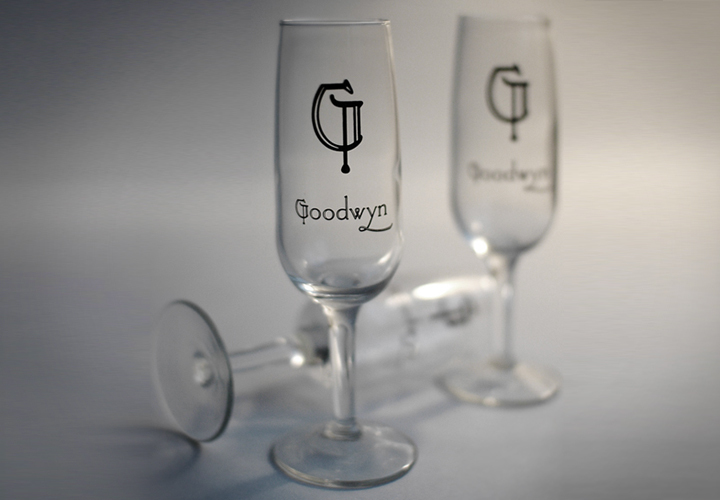 And champagne flutes to boot! © 2019 Fox Design Co. All Rights Reserved.